A dwarf of independent spirit and inclinations, Nori the Dwarf was accustomed to relying on himself and trusting his own resourcefulness to overcome the challenges that his adventures occasionally presented. 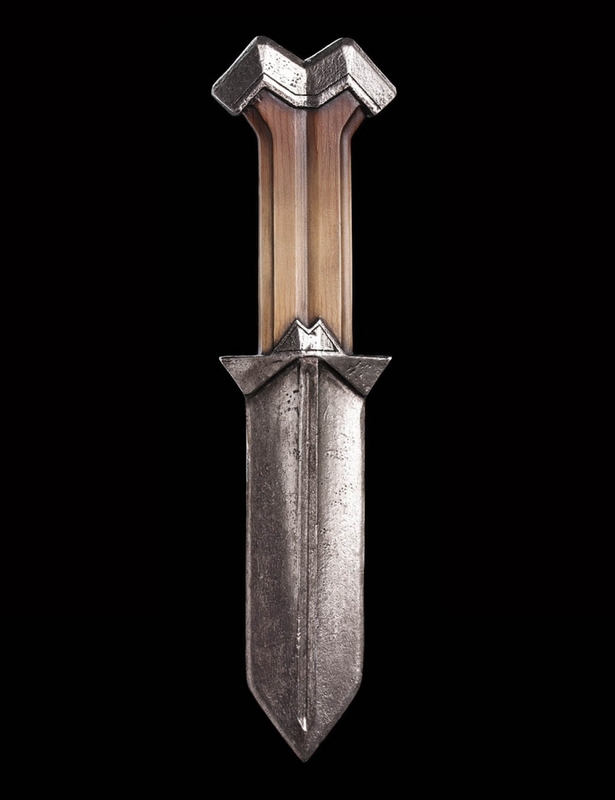 To that end, he was never a Dwarf to be caught without that most versatile of tools: a short, sharp knife. Indeed, he carried a number on his person, secreted or worn openly; among them a short, broad bladed, double-edged design that fit snugly into his palm and could be drawn or concealed in the blur of a seemingly innocent gesture. 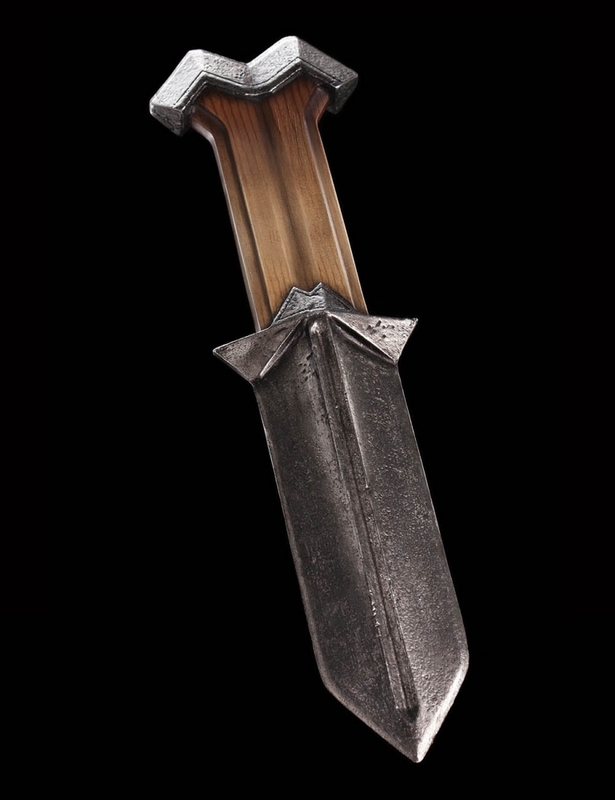 These prop replicas have been created from molds of the original weapons used in the film, using the same high impact urethane material as the props on set and finished using the same techniques and materials. 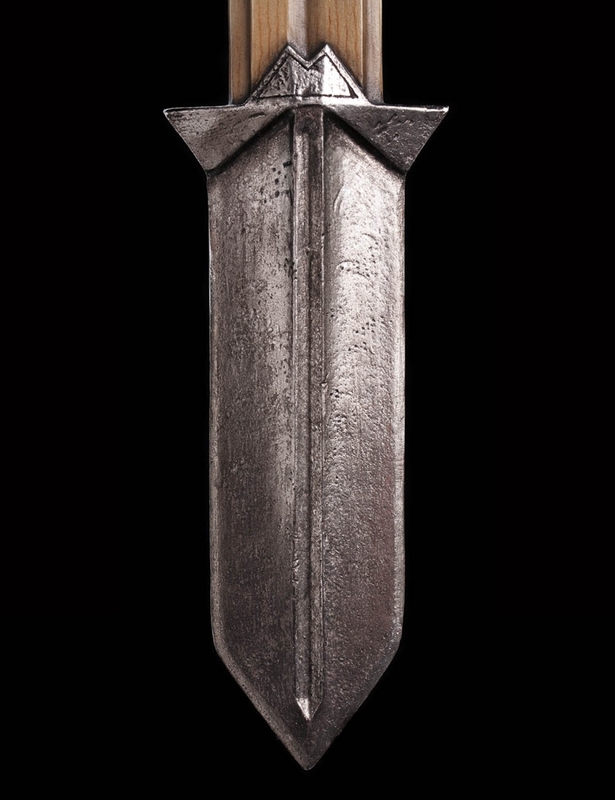 Although we use steel and aluminium to make a lot of our swords, often we benefit from the casting of these in a high impact urethane, as we are able to capture the complexity of detail we are wishing to cast into some of our weapons. 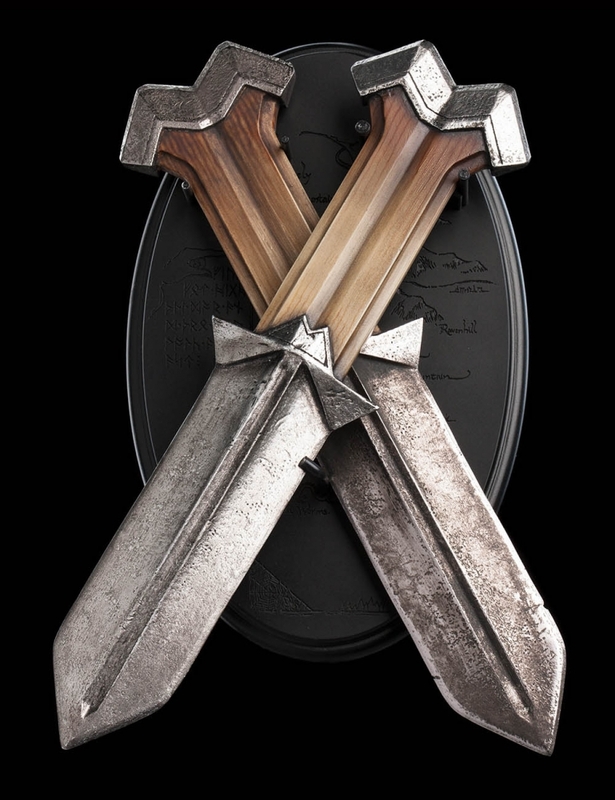 We have therefore chosen to present our collector's edition of Hobbit weapons in the same material used for the making of the film props, to exactly replicate the techniques and artistry used in the films. 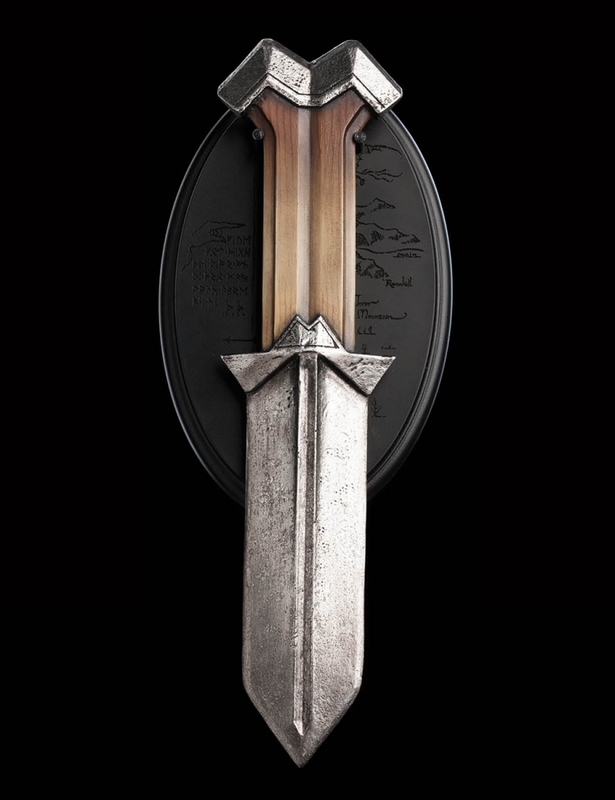 Knives of Nori the Dwarf is an extremely Limited Edition of 500. A numbered Certificate of Authenticity will be sent to customers who order this product. There is no numbering on the box nor on the product. They come with a reinforced polystone wall plaque for display, pride of place, on your wall. Please note: images are of pre-production prototype. Each set is painted by hand and variations will occur. Dimensions and weight is for each knife. 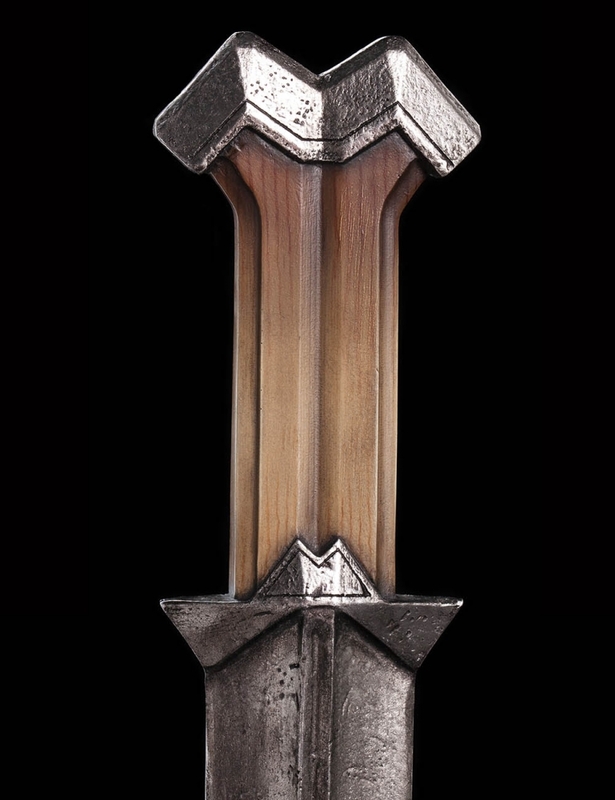 Weta Workshop’s authentic prop replicas are made by the very same artists and technicians who work on our movies, using the same techniques and materials. We treat our prop replicas with the same level of care, quality and attention to detail that we bring to our film work.